The Baltic Sea straddles the whole northern part of Europe. This narrow sea was where the early Vikings learned the fine art of sailing, amongst other things. In some places it is referred to as the Viking sea. 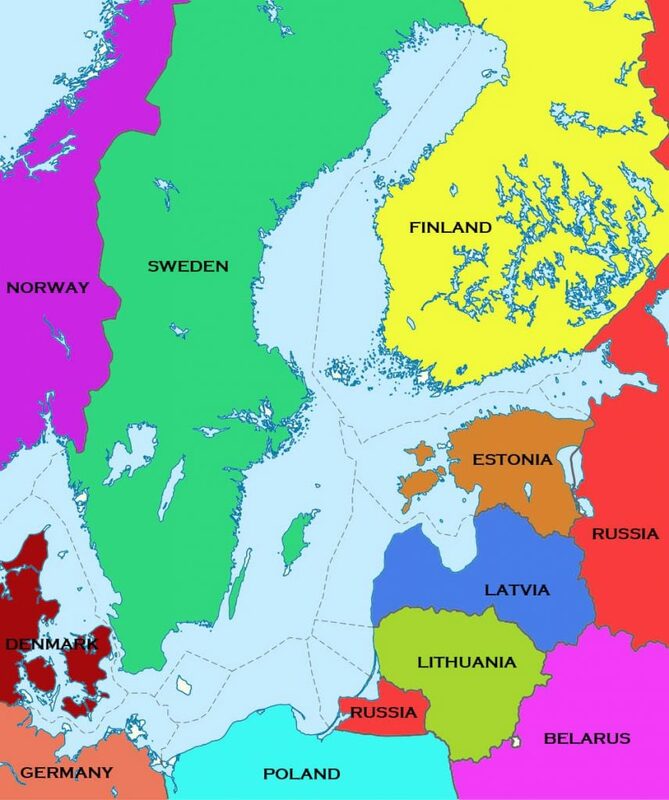 You will note that Russia borders the Baltic Sea in two distinct and separate places. There is a red region between Lithuania and Poland that is a part of Russia yet it is not physically connected to the main part of the Russian Federation. The Baltic Sea flows into the North Sea which is adjacent to the UK.